i’m actually pretty not into the whole grey hair dye trend. 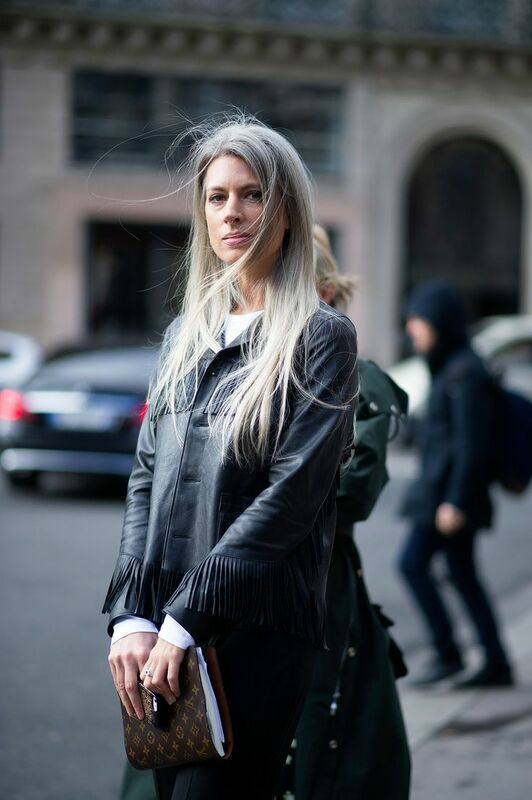 i believe vogue uk’s sarah harris to be the driving force for young women to prematurely age their locks. the reason why it work’s is it’s authenticity. this clouded hue don’t come from a bottle- and sarah is lucky to have a rather silky soft looking variation. her ashen hair is an attribute she made work for her after going grey in her teens- taking a non-conformist, confident approach served her well. aside from the obvious though… let’s talk about the LV agenda, firstly, who keeps one of those ancient gadgets anymore? second, who else has made that monogram look so chic in this decade?